Meru Senator Mithika Linturi has urged a Nairobi court to dismiss an application by Ms Marianne Kitany, who claims to be his wife, saying, she is trying to strip him of his property. Arguing before the court yesterday, Mr Linturi, through lawyer Muthomi Thiankolu, said Ms Kitany hid some facts from the court when she got temporary orders giving her exclusive use of their Runda home. The senator denied that Ms Kitany was a “jobless housewife with no stable income”, but that she has several multimillion properties, businesses and assets. “I have never cohabited or entered into a customary relationship with the petitioner” he said. 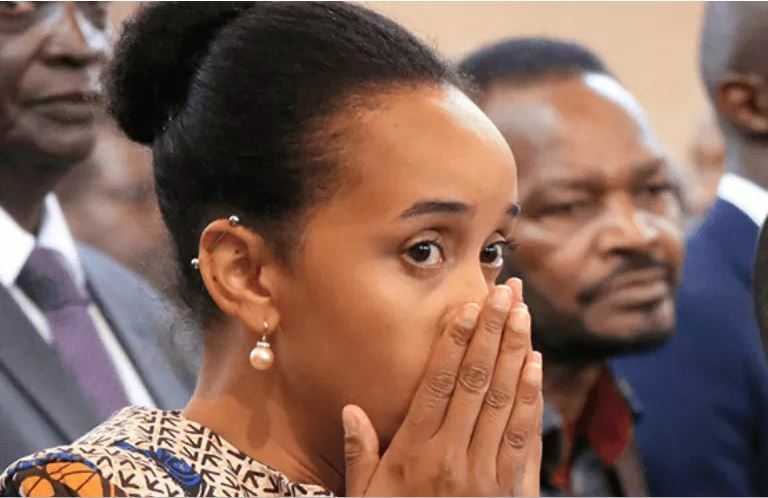 He said he never dissolved his marriage to Ms Mercy Kaimenyi and claims that he and Ms Kitany were married under Meru customary law were false. Mr Linturi told the court Ms Kitany has no evidence to prove he has been violent towards her and the court order was a desperate attempt to defraud him of property. Instead, it was Ms Kitany who was “cruel, mean and hostile towards my children who are still at a tender age”. But Ms Kitany, through lawyer Danstan Omari, insisted that there was a very personal relationship between the two and she was not a visitor as alleged by Mr Linturi. She said the amount of time they spent together cannot be wished away and that she even campaigned for him during the 2017 General Election. Her lawyer said the court has a duty to protect the dignity of people in personal relationships and any forcible eviction without due regard to the law must be resisted. “She is a jobless former public servant while the respondent is a powerful senator. She is therefore vulnerable and the rightful place where she can seek protection is the court,” he said. He said it will be a great calamity if men are allowed to “use and dump women”. Senior Resident Magistrate Isaac Orenge will rule on the matter on February 1. Ms Kitany will meanwhile remain at the Runda residence.